This I might be interested in, depending on the price of course. I'm already paying ~$7-$10/mo for games. A flat fee in that range plus the ability to move the game from my iPad to my Mac would be great. I feel mixed on this announcement. While I'm happy Apple is finally paying attention to gamers, I was hoping bigger game developers would be on board. I'm hoping Sega releases old school titles. This I might ne interested in, depending on the price of course. I'm already paying ~$7-$10/mo for games. A flat fee min that range plus the ability to move the game from my iPad to my Mac would be great. If someone is already paying $5-$10/mo for games on Apple Pay, it may make sense for them. For people, who are using free games only, will not goto subscription model anyway. They are also not getting XBox/PS to this one. My fear is that it might be $20-$25/mo which would be a deal breaker for me. Should be interesting to see how games which are designed for iPhone/iPad translate to the Mac/AppleTV, where you don't have a touchscreen. Without additional developer effort to adapt the game controls for those platforms, the only way I see it working well is if you're also using your iPhone/iPad for control. But if that's the case, why wouldn't you just play it on those devices directly? One of the cool things about this approach is that it includes big screen gaming on the Apple TV. That's going to be a compelling feature for both purchasing the service and for purchasing Apple TV hardware as well. The games don’t look very compelling... Maybe for kids...? I’m a fan of Diablo style games, which are pretty much non existent on iOS. Isn't Apple TV already supports existing games? Considering success/complaints they have, I wouldn't be too optimistic. These are same games that are available today but with subscription model. Serious question: isn't Fortnight a "Diablo-style" game? Run around and shoot things with beautiful graphics. No. Obviously you’ve not played either. There is already gaming on ATV. You control with the Siri Remote or a 3rd party game controller (which Apple should really just build their own and embrace it as a console). shahhet2 said: Isn't Apple TV already supports existing games? Considering success/complaints they have, I wouldn't be too optimistic. These are same games that are available today but with subscription model. 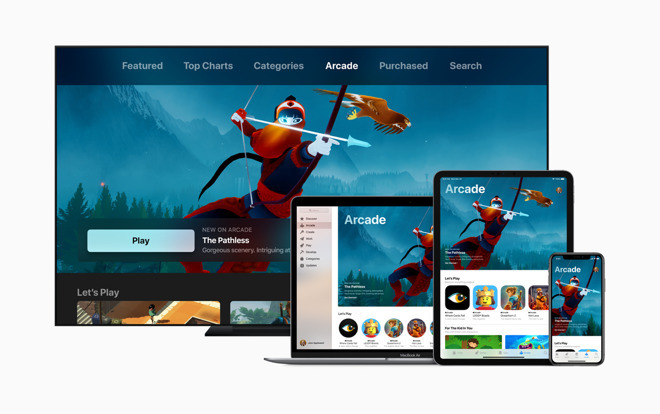 The difference for Apple Arcade is that any game that is available within the service will be guaranteed to be available on Apple TV. The problem with Apple TV gaming currently is how few iOS game developers provide an Apple TV version. It's not very predictable...so much so that you tend to forget to even think about looking to see if an Apple TV version exists. seanismorris said: I’m a fan of Diablo style games, which are pretty much non existent on iOS. You need to try Grimvalor then. It's played in side view, but it has a lot of inspiration from Diablo. One would hope there is a decent universal controller with a H1 chip or similar Ready to go when this service launches. airpod magic but most importantly, actually a good controller. The controller reimagined. As long as they keep Ive away from it. So will games that are on Apple Arcade also be available for individual purchase on the app store? The moment games become exclusive to a subscription only service that will be the downfall of that service. Also, title of this article is way off the mark. 1 billion Apple devices are in use world wide, but not all of them are used by gamers. All about seeing Apple succeed but let's not reduce things to hype! Diablo Immortal is coming for iOS. However any game company can choose to have their game in Apple Arcade or just be sold as as standalone game. Since many games on the App Store have ads in game, or in-game purchases, I can see why Apple didn't include any of the existing games from the App Store in Apple Arcade. However some games on the App Store now may qualify for easy inclusion into Apple Arcade. It remains to be seen if Apple Arcade or App Store is more profitable for gaming companies. Some of the free games may enjoy the switch to Apple Arcade, though they will have to ensure their ads are taken out. What I'm curious about is whether "product placement" will be allowed in games available in the Apple Arcade. That may sneak through. I wonder if the rumored iPod Touch update is connected to this. Some games cannot be translated between macOS / iOS. It is obvious that there will be different games on each platform but one subscription will encompass all. 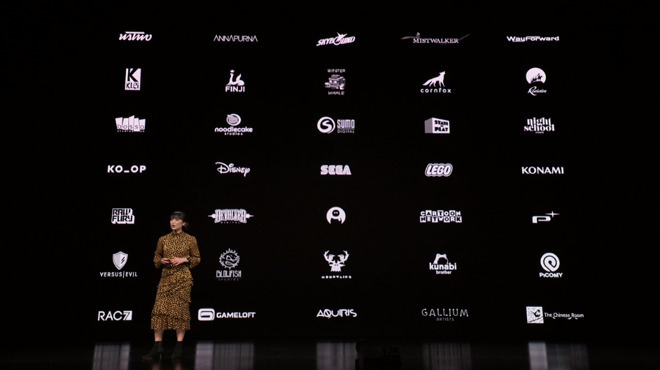 Although the article says “The iPhone, iPad, Mac, and Apple TV are all supported by all of the games on the service, and offline play is available for all titles” that would reduce the inventory to a very small subset. I didn’t watch the Event, have to check if it is exactly presented as mentioned.